Aviva Drescher’s beautiful complexion is no accident: The blonde beauty admitted that she owes her flawless skin to both her mother, and Dr. Kenneth Mark. 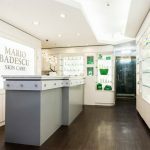 The former Housewives of New York star was recently spotted leaving Dr. Mark’s SoHo offices sporting sunglasses after receiving a chemical peel. She also visits the doctor—who she counts as a friend—at his office in Southampton. “In order to maintain my complexion, I visit Dr. Mark regularly in New York and Southampton,” Aviva says. 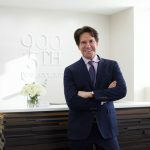 Dr. Mark, who has offices in Southampton, East Hampton, New York City, and Aspen, is a nationally recognized injectable expert who specializes in Botox and fillers such as Juvéderm and Radiesse. 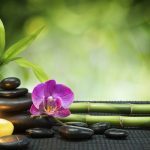 “These techniques are better for people with busy lifestyles, offering natural results with minimal downtime.” He is also a Mohs’ skin cancer surgeon, which is a minimally invasive treatment for skin cancer that minimizes scarring and has the highest cure rate. In the Hamptons, Dr. Mark is the go-to expert for anyone wanting to look good in their bathing suit. 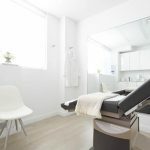 He is the only doctor on the East End to offer two CoolSculpting machines, the non-surgical procedure that uses cooling technology to freeze fat away. In one session, he can use his two machines to do two different areas of your body at the same time. The treated area can lose approximately 25% of its fat. The MiXto Micro Factional CO(2) skin-resurfacing laser, the most advanced factional laser on the market, is Dr. Mark’s newest treatment option. 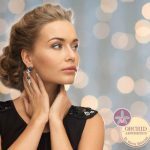 It can be used to treat the face, neck, chest, hands, and arms and delivers better results in a 30-minute session than other lasers can accomplish in three treatments, with less discomfort, downtime, and cost. Dr. Mark uses the laser to reduce pore size and fine lines, acne scarring, and pre-cancerous cells. In addition to offering the most technically advanced options in the field, Dr. Mark has extensive experience with the most effective anti-aging treatments and wrinkle reducing options, including Sclerotherapy for spider veins. 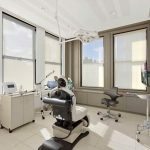 Knowledgeable in all things to do with the skin and its diseases, Dr. Mark’s reputation has been honed by 15 years of post-residency experience, helping keep the Hamptons looking its best—and its youngest.